Huge Savings! 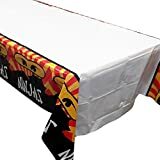 Up to 17% off on Tablecovers at Designers Artists. Top brands include Blue Orchards, Lunarable, Ambesonne, & Creative Converting. Hurry! Limited time offers. Offers valid only while supplies last. 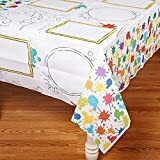 Blue Orchards Ninja Master Tablecovers (2), Great for Ninja, Ninjago and Other Martial Arts Birthday Parties!